This month’s newsletter focuses upon tick prevention and treatment. While ticks are present all year in northern California, they are more active in the spring and summer. Ticks are small parasites that feed on the blood of host animals like our cats or dogs. Surprisingly, ticks are arachnids — like spiders — that come in several sizes and colors. 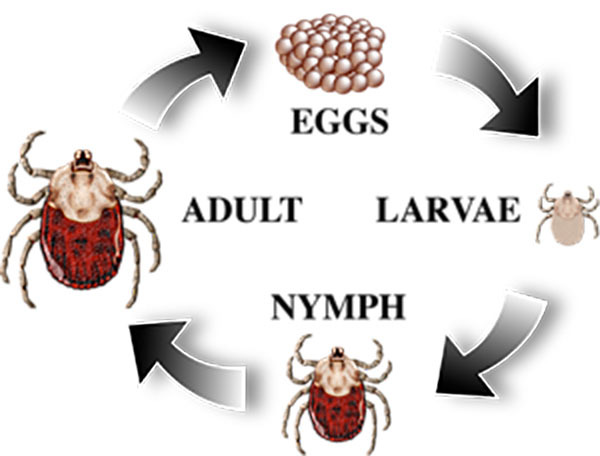 Ticks have a multi-stage lifecycle starting as eggs, progressing to six-legged larva and then eight-legged nymph and ultimately concluding as an adult. Ticks typically “find” their potential hosts while they play or explore in tall grass or wooded areas. In our area, ticks can sometimes be encountered in neighborhood parks, empty lots or even overgrown backyards. Ticks use body heat, moisture and vibration to identify potential hosts — and they “reach out” and climb on to the fur of your pet using their font legs (they do not jump or drop onto your pet). 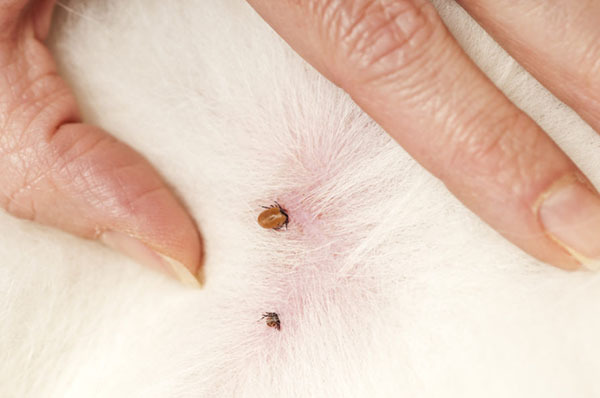 Given their small size, ticks are only detectable at this point through a visual inspection — usually as black or brown spots upon patches of light-colored fur. Once aboard ticks are “programmed” to make their way toward the head, ears and neck of their hosts where the blood supply is more accessible (closer to the skin and often protected with less fur). After they have migrated toward your pet’s head, the tick grasps and cuts the skin to insert its feeding tube. During the process, the tick may excrete a small amount of saliva with anesthetic properties making its presence harder for your pet to detect. Depending upon the variety, ticks will engorge themselves by sucking blood slowly for several days — multiplying their size and weight by many sizes. Once full, the tick re-tracks their feeding tube and releases their grip upon your pet — allowing them to fall off into the environment. What concerns should I have about ticks? As you can see, the list of potentially harmful impacts is long. Importantly, the symptoms may take days, weeks or even months to appear and their presence can often only be confirmed via blood test. So, it’s vital that you closely inspect your pet every time they enter the house. How can I tell if my pet has ticks? A visual and physical examination are the best way to see if your pet has any ticks. Pay close attention to your pet’s ears, nose, areas around their eyes, and neck. An increased level of discomfort and scratching should also prompt you to examine your pet. Ideally you would find ticks as they migrate from the lower extremities where they can be easily removed. So, don’t forget to check your pet’s toes, feet, tail and belly. Once ticks burrow in, you should call us — regardless of its current size. If the tick has been undetected for several days, you might be surprised to see its size (sometimes approaching the size of a small grape) and change of color. To minimize the chance of blood borne infections, embedded ticks should be removed with 24 hours. Please note that if you find one tick, you should carefully examine your pet. It is highly likely there are more. If you find a tick, we encourage you to call us. We’ll carefully remove the tick and treat the surrounding area. We’ll do so wearing gloves to prevent potential infections from blood-borne pathogens. If you attempt to remove the tick yourself, please follow these steps. 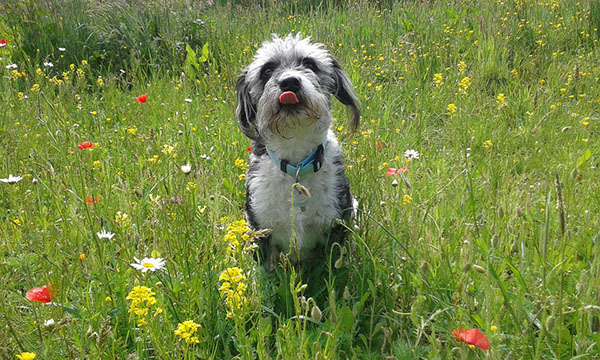 How can I reduce the chance of my pet getting ticks? The best prevention is to keep your pets out of the woods and in areas with short grass. So mowing your yard and keeping it free of potentially infested animals (such as rodents) is a great starting point. But that’s no guarantee — so a topical or oral preventative may be needed. 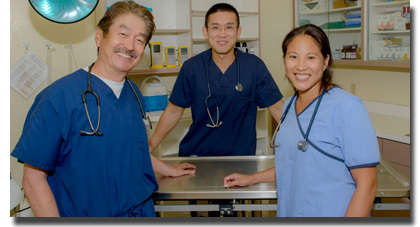 Please contact us at (408) 374-5850 and we can discuss medicines and approaches that might be best for your pet.